Experiencing issues with your shower? The problem may lie not with the plumbing or shower head, but with a small yet vital part of the bathtub spout. Here's how to investigate and address this common, easily remedied frustration. You know that little knob on top of the bathtub spout? It’s tiny but not insignificant, as it performs the vital role of directing water either to the tub or to the shower head. 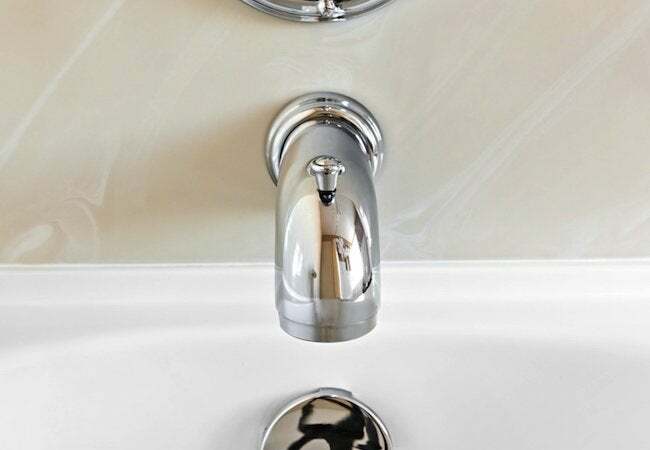 If you pull the diverter and see only a few drops of water—or none at all—come out of the shower head, then you likely need a new tub spout and diverter. Luckily, such components are fairly inexpensive and easy to install. Start by inspecting the underside of your existing tub spout. Look for a small hole and a set screw. If you find one, remove the screw with a screwdriver, after having covered the drain to prevent the piece from disappearing down the pipe. Once you’ve removed the screw, twist and pull the spout straight out until it clears the copper supply pipe. Couldn’t find a set screw on the tub spout? That means the spout threads directly onto the supply line. To remove it, use a pipe wrench, turning the tool slowly and firmly in a counter-clockwise direction. Once you’ve successfully removed the spout, take it to your local home center so that you can be sure to purchase the right sort of replacement, one that attaches to the supply pipe way in the same way as the old unit. Note that in the case of a threaded spout, the threads on the new fixture must run in the same direction as on the one you’re replacing. Otherwise, you’ll be making a return trip!